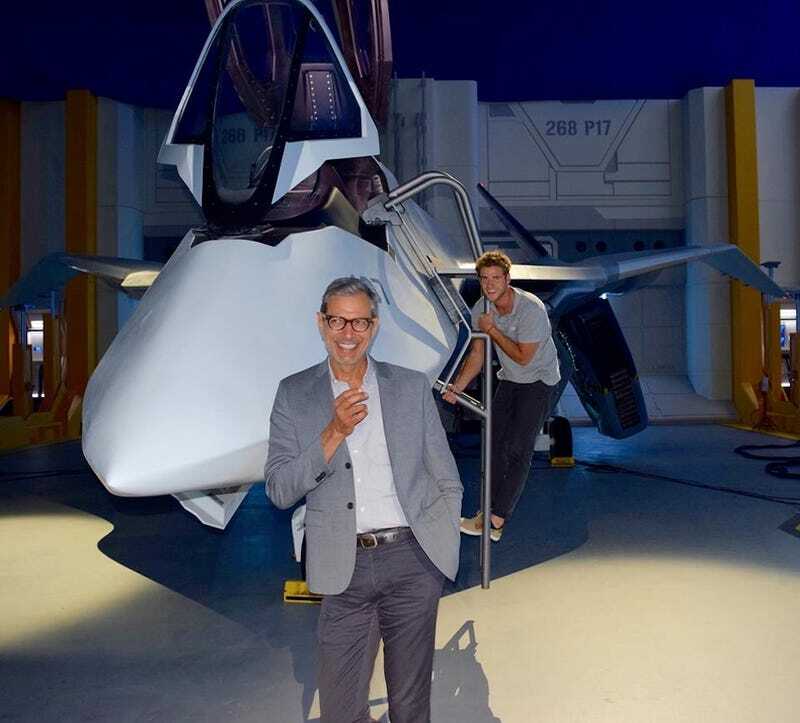 To help ease your Fourth of July hangovers, here’s a photo of eternal hunk Jeff Goldblum on the set of the sequel to Independence Day. The photo marked the actor’s Facebook debut. Oh, and that’s his co-star, Liam Hemsworth, photobombing the pic in the background. Goldblum’s caption reads, “So there I was thinking about how I would save mankind when this guy photobombs me. Oh, why hello Facebook, nice to finally meet you.” Hemsworth returned the sentiment on his own Facebook page with a photo of the two tall glasses of water smiling at each other, captioned as “Jeff Goldblum, my new Independence Day #BFF.” Cute, cute. Independence Day: Resurgence will be out June 24, 2016. Photo via Jeff Golblum’s Facebook.